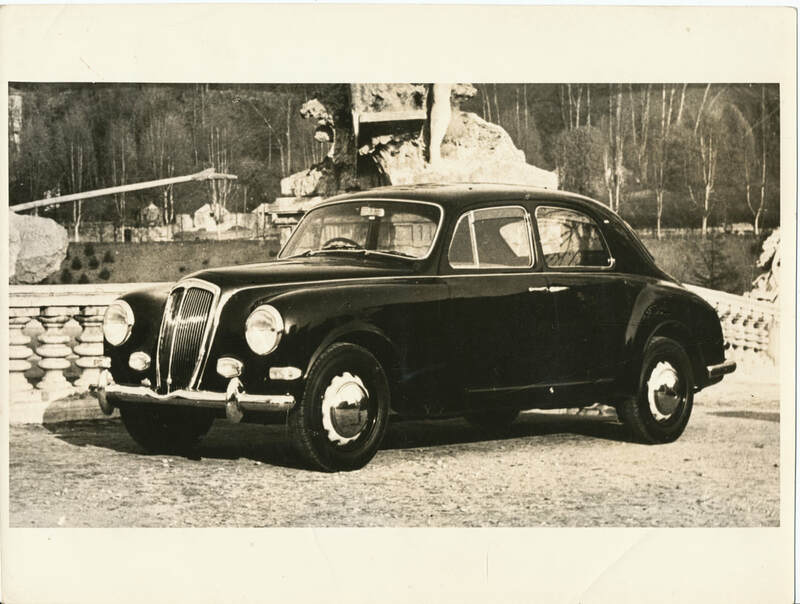 B10 sedan in a publicity shot by Moisio, factory photographer. As with all Lancias, it started with the sedans. While there were four different sedan models, the B10, B21, B22 and B12, it is easier to understand as Lancia did - as two versions, a first and second series. The first series includes the B10, B21 and B22, recognized by the sloped glass in front headlights. The differences between these are subtle: the B10 was the first, introduced in 1950 with a low-compression 1754cc engine. The B21 was offered just a year later, the same car but now with a two liter (1991cc) engine, similar but not exactly the same as the B20 two liter engine offered at the same time. The B22 was yet another improvement a year later, introduced in 1952, with yet again a hotter motor, enhanced from the B21 with a hotter cam, different intake and exhaust manifolds, etc. By and large, the B10, B21 and B22 are all the same berlina, with different engines. The second series sedan was the B12, introduced in 1954. It had yet another motor, similar in design to the other sedans, but now enlarged to 2266cc. But it was a totally different car, with changed bodywork, no glass-flared headlights, and more refined yet. The front suspensions were the same in design with detail refinement varying; all berlinas had the early type transaxles. 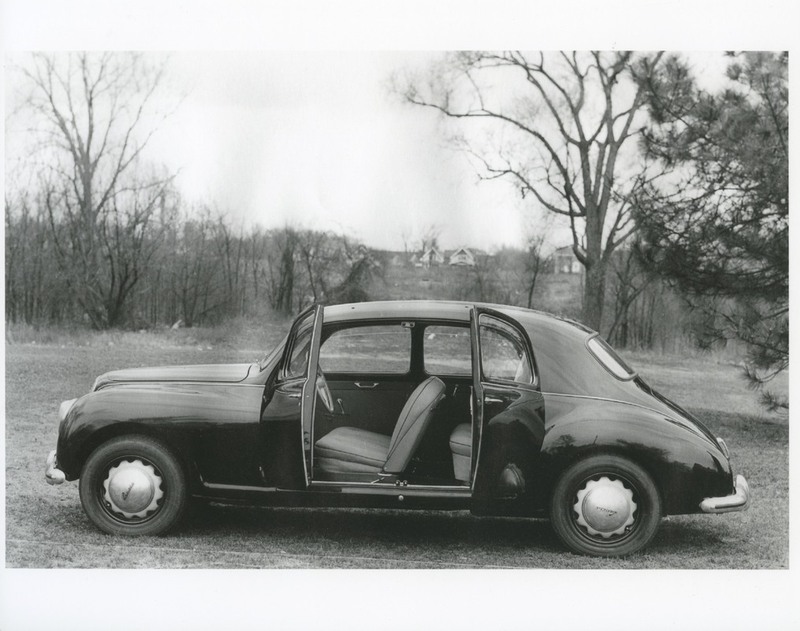 All the earlier first series sedans, B10, B21 and B22, had the independent rear suspension with coil springs; the B12 had the new de Dion rear suspension. The early sedans are characteristically Lancia-light, the later B12 being more roomy, reassuring in its solidity. B10 sedan, with the doors open, showing the lack of a central pillar. B12 sedan - a little more upright, a little bit more refined, a little bit heavier.